Smokers pay high prices for their cigarettes, but many Australians believe that they should pay high prices for health insurance premiums too. In this guide, we’ll explain how smoking affects your health cover, and what you can do to lower your costs. Smokers do not currently pay more for health insurance premiums, due to Australia’s community-rated health insurance system. 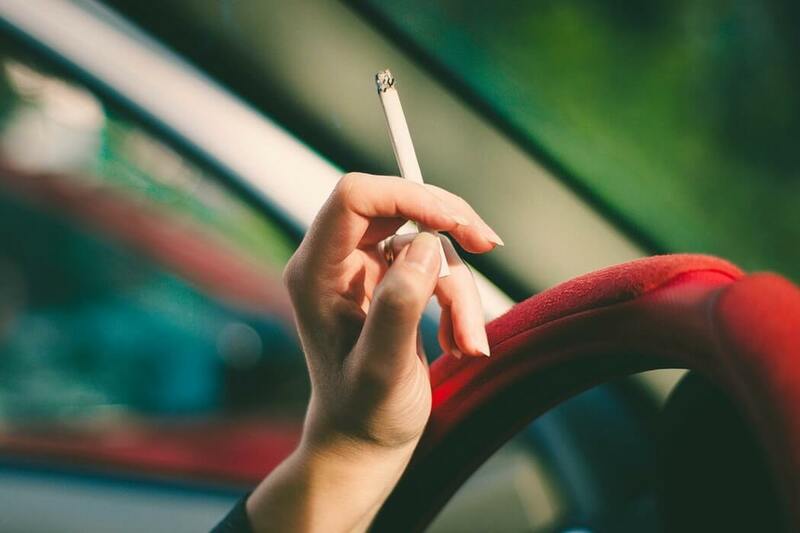 Smokers face significantly increased health risks, which can drive up the cost of their overall health care, as well as high prices for cigarettes. 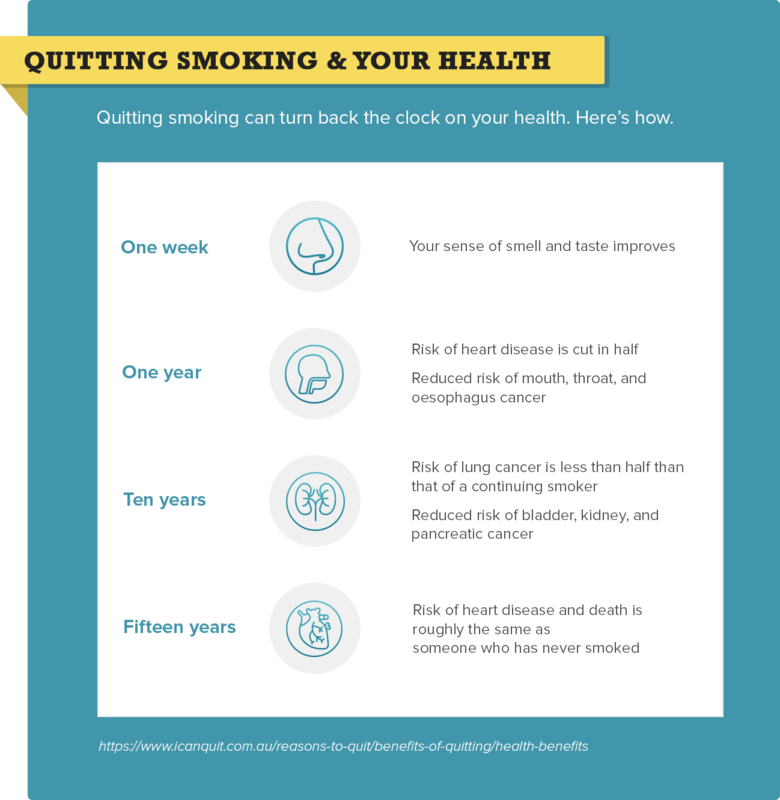 Quitting smoking can reverse some of its effects within years, making you a less likely candidate for heart disease and lung cancer. 1 Do Smokers Pay More for Health Cover? 2 Should Smokers Pay More for Health Cover? 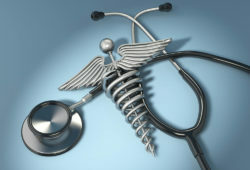 3 How Does Smoking Affect the Healthcare System? Do Smokers Pay More for Health Cover? While smokers pay much higher premiums for life cover, they generally do not pay more for health cover. For example, a 40-year-old nonsmoking female and a 40-year-old smoking female would pay the same premium for the same policy. The reason? 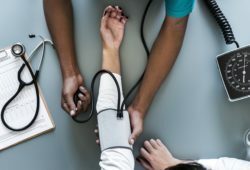 Australia’s private health cover system is community rated, which means that people get the same price for a policy no matter their age, gender, or health status. Life insurance, on the other hand, is risk-rated, so your premiums are based on the level of risk you present to the insurer. Find out more about life insurance for smokers here. Should Smokers Pay More for Health Cover? 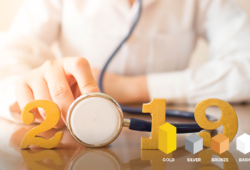 The cost of health cover has been steadily rising over the last several years, and Australians are getting frustrated. A recent survey found that 2 out of 3 Australians believed that smokers—and people with other unhealthy habits—should pay more for their health cover. If those at a higher risk paid more for health cover, it would theoretically reduce the cost for other people. However, there is a potential snowball effect that could wind up with young, healthy people paying peanuts, and elderly people being hit with huge bills for health cover. This is exactly why Australia maintains a community-rated system, so the sick aren’t priced out of health cover. While it’s true that smoking does cost the healthcare system a significant amount of money each year, it’s also worth considering the extra taxes smokers are paying. Tobacco taxes increase by 12.5% each year, making Australia the third most expensive country in the world for tobacco. By 2020, the price of a pack of smokes is expected to hit $40. In the ten years between 2004-5 and 2014-15, the number of smokers reduced from 21.3% to 14.7%, perhaps in response to the higher taxes on tobacco. The increased tobacco excise taxes are also filling up government coffers to the tune of an estimated $8 billion each year. This is money that can then be fed back into public resources, such as—you guessed it—the healthcare system. The debate continues, because ultimately smoking is a voluntary act that undoubtedly affects individual health and, in turn, the public and private healthcare system. How Does Smoking Affect the Healthcare System? The ABS found that smoking causes 80% of lung cancer deaths and 20% of overall cancer deaths. It is the leading risk factor for death and disease in Australia. Smoking tobacco increases your risk of heart disease, lung disease, and other health problems. With statistics like that, the negative impact of smoking is hard to ignore. 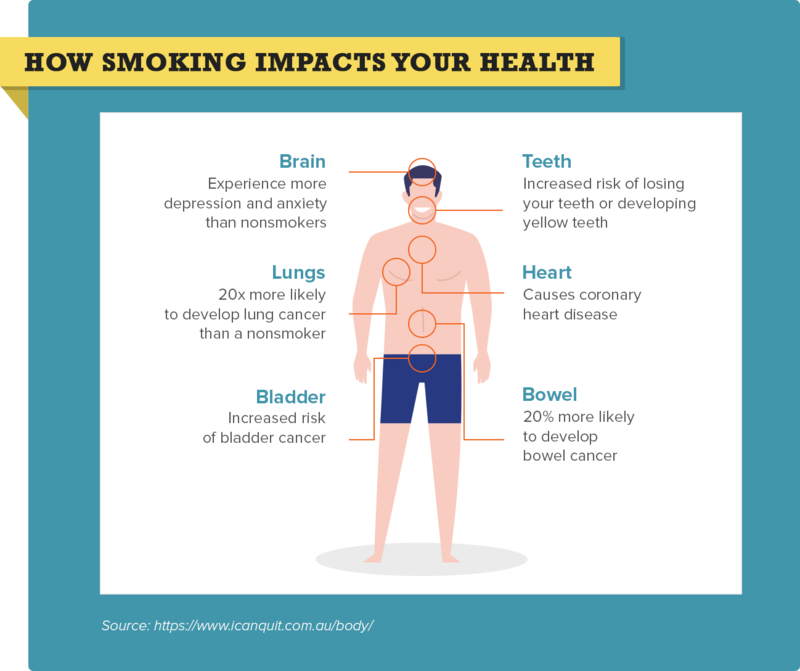 Smokers are more likely to wind up in hospital as a direct result of their smoking habit; in fact, an estimated 19,000 Australians die each year as a result of smoking. So we know that smokers bring in tax revenue for the government, but what does smoking cost Australian society and the healthcare system? Back in 2004-5, the Department of Health and Ageing released a report stating that the social and economic costs of smoking to Australian society were around $31.5 billion each year. That’s considerably more than the $8 billion brought in from excise taxes. However, in 2014 an Australian Senator claimed that smoking cost the healthcare system $320 million over the previous year; if we use these figures then smokers are certainly paying more than they are costing the healthcare system. Regardless of how much smoking costs financially, it clearly has a dangerous effect on an individual’s health. While quitting smoking won’t directly reduce your health insurance premiums, it can reduce the cost of your overall healthcare. When you quit smoking, you can effectively reverse some of its effects on your health. This means you’re less likely to wind up in hospital with a serious disease caused by smoking; in turn, this puts a reduced burden on your wallet. Another thing to keep in mind: although smoking does not affect your health insurance premiums at the moment, it is possible that the rules could change in future. If Australia responded to popular demand and moved towards a risk-based system, smokers could find themselves facing higher premiums. Whether or not this is fair is hard to say for sure, but if you’re thinking of quitting smoking now could be the time. If quitting smoking was easy, everyone would do it, right? It’s no secret that quitting cigarettes isn’t as easy as not lighting up. Tobacco is addictive, and quitting can be tough. However, quitting smoking can help reverse the negative health effects of tobacco, giving you a better chance at a longer, healthier life – not to mention the money you’ll save on cigarettes and healthcare! Find your why. Are you quitting for your health? For your family? For your bank account? Figure out your major motivation and use it to help you through your journey. Become part of a like-minded community. Quitting is hard, and you don’t have to go it alone. Keep track of your milestones. How long has it been since you had your last cigarette? Whether it’s one day, one month, or one year, it’s a cause for celebration. Figure out how much you’ll save. Multiply the number of packs you smoke in a week by the cost of cigarettes to find out how much you can save by not smoking. Talk to your doctor. He or she can suggest a range of resources that can help you as you cut smoking out of your life. Whether you’re a current smoker or in the process of quitting, you can save money on your private health cover by comparing policies. Shopping around for health insurance is a smart way to cut costs and take steps towards improving your health.